Nothing beats the look and atmosphere of a traditional marquee. English Summers are never the same without a marquee wedding, or a village fete with a traditional marquee on the green. Here are some tips you can use when you’re looking to hire a top-notch traditional marquee for your wedding or event, or to buy one for your business. 1. Look for an established company – There are some ‘fly-by-night’s’ in the marquee business, along with some poor-quality imported products. You really don’t want to be giving your money to a company who might not be around to deliver your marquee when promised. Instead choose a company who have ‘been around’ for a while. Yes, it may cost a bit more, but not only will you get better service and a superior product, you’ll have the peace of mind that comes from knowing the marquee you’ve hired for your wedding will turn up on the day, or the deposit you’ve put down on your dream marquee is in safe hands. 2. Visit the manufacturer – A reputable company will be happy for you to visit them to get your questions answered, and even see the marquees being made. 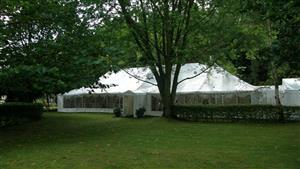 They’ll be able to help you choose the right traditional marquee for your event or venue. If you’re hiring, they’ll erect it and take it down for you, and possibly provide attended service if you need it. If you’re buying, they should erect it for you, give you full training in how to maintain it, and provide a maintenance and repair programme too. When you visit the manufacturer, you’ll also be able to see a selection of accessories such as flooring, lighting, extra rooms, and marquee linings, and choose what you need for your own marquee. 3. Are they local? 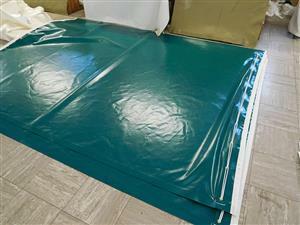 – If you’re buying a marquee and are prepared to travel, then this isn’t so important. However, if you’re hiring a marquee, or if you want the safety of having the manufacturer close to hand if something goes awry, then using a local Marquee manufacturer makes better sense. The problem is, just because a website advertises in your area it doesn’t mean they are based there. Many ‘Marquee’ sites are actually booking sites, passing your details onto third parties and taking a commission. To get the best service and products, you need to deal directly with a good supplier. 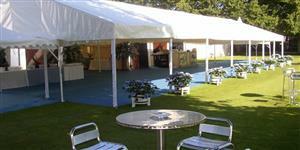 Weatherill Brothers Marquees has been in the marquee business since the 1950’s, and based in Norfolk since 1981. We’re a long-established, reliable company, we’re known for our beautiful and stylish traditional canvas marquees and our high level of customer service. We manufacture, sell, and hire marquees to the whole East Anglia area, and we’d love you to come and visit us to look at our craftsmen at work, and to choose the perfect marquee and accessories for your business or event. Call us on 01953 882 394 to learn more and get any questions answered. So, you live in Norfolk and you have an event coming up? What better place to hold it than a beautiful marquee? And there are plenty to choose from – traditional marquees, Bedouin style marquees, bespoke marquees and many more. There’s no need to get confused though, a good marquee company will go out of their way to answer all your questions, give you a great service, and make sure you get the exact marquee and accessories you need to make your event an extraordinary one. 1. Can we come and look at your marquees? 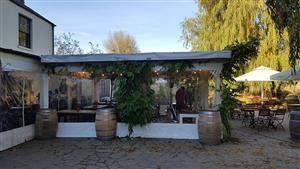 - Any reputable marquee hire company will be happy for you to visit their premises and show you around. You’ll be able to check out the quality of the marquees, and look at the accessories too. 2. What size marquee do we need? – This will depend on the number of guests you’re expecting, the location, what entertainment is on hand, and many other factors too. 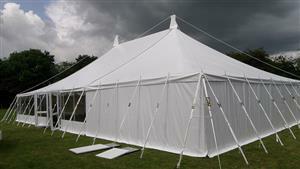 An experienced marquee hire company will be able to advise you on all aspects of your marquee hire. 3. Will you visit our site? – It’s in the interests of the marquee hire company as well as yours to visit the proposed site in order to check out the ground the marquee will be erected on. If a company says there’s no need, you should probably look elsewhere. 4. Do you have insurance? – It’s an obvious question, but it could be overlooked. If there is any damage caused by the marquee or the hire company employees, you need the insurance to foot the bill and not be left out of pocket yourself. Avoid anyone with no insurance. 5. Can you provide accessories? – A marquee company should be able to provide you with flooring, linings, generators, lighting, etc – and should know reliable suppliers who can get you anything else you need to theme your event or make it really special. 6. Will you put up and take down the marquee? – This is a given. The larger the marquee the longer it will take to erect it and break it down after the event. A good marquee hire company will work to your schedule, and even provide on-site staff (attended service) if you want extra peace of mind on the big day. 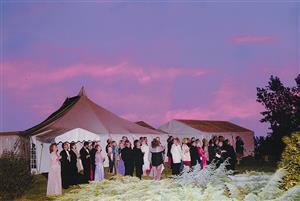 Weatherill Brothers Marquees are based in Watton, Norfolk, and have been there since 1981. 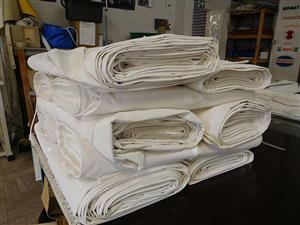 We make, sell, and hire some of the highest quality marquees in the UK. 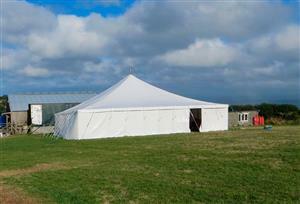 If you’re looking for marquees in Norfolk for hire, then we are the company to call. You’ll receive expert advice, great customer service, and the marquee of your dreams. Call us on 01953 882 394 or email sales@weatherillbrothers.co.uk to learn more. 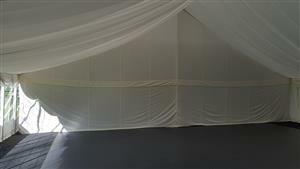 Where is the best place to hire a marquee in East Anglia? 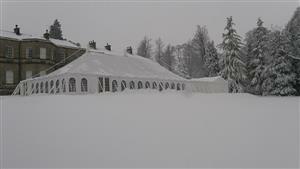 So, you need to hire a marquee in East Anglia and you’re wondering where to go, right? It can be quite confusing – there are lots of marquees to choose from, and lots of differing prices too. However, if you’re in the East Anglia area there’s really only one place to go to get all the answers, and that’s Weatherill Brothers Marquees in Watton, Norfolk. Here are some great reasons why you should hire your marquee from Weatherill Brothers. 1. We’re based in Watton, near Norwich, and provide marquee hire in Norfolk, Sufolk, Essex and across the rest of East Anglia. 2. We are a long-established business (in the marquee industry since the 1950’s) so our experience can help you in making the right choice. There’s really nothing we haven’t seen or done when it comes to marquees, so we can ably assist you with everything you need. Another big advantage of using a long-standing marquee business is you’ll know they’ll still be around when you need them. 3. We’ve manufactured, sold, and hired out marquees from our custom-made workshops in Watton, Norfolk, since 1981 – and are well-known for our stylish and functional traditional canvas marquees, with ingenious features unique to us. 4. We are members of MUTA (the made-up textiles association), an organisation set up to improve standards in the industry. MUTA members are serious about their marquee businesses, and we are one of only two UK marquee manufacturers to have passed wind speed tests of 80mph. That means if the weather is bad… really bad… your marquee will stay in place. 5. We take care of marquee accessories too. When you visit us, you’ll be able to see flooring, lighting, linings, furniture, and all the other things that make a marquee event super special. We also work with a vast array of other reputable suppliers, so if we don’t have it, we’ll know someone who does. 6. 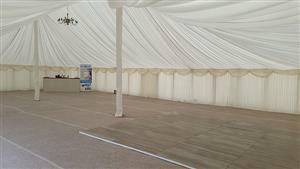 We offer a full marquee hire service. Delivery, set-up, assisted service if required, uniformed staff, clean liveried vehicles, break down after the event, and advice are all available when you hire from Weatherill Brothers. If you’d like to learn more about Marquee Hire in East Anglia from Weatherill Brothers Marquees, please get in touch by calling us on 01953 882 394, or emailing sales@weatherillbrothers.co.uk. Our offices are open from 7am, and we’re always happy to take your call and ‘talk marquees’. If you’ve been thinking about hiring a canvas marquee for an event, or buying one as an investment in your business, there are a few things you should think about before you part with your money. 1. Is the company you’re getting it from a reputable one? Is their reputation good in the industry? Have they been in business for a long time, with a good track record of supplying a quality product and good customer service? These are all important factors to consider if you’re thinking about spending what will be quite a considerable amount on a top-quality canvas marquee. 2. Is the company a member of MUTA? This is the made-up textiles association, an industry association set up to improve standards in the industry. Marquee manufacturers who are serious about high standards will be members of MUTA, and their canvas marquees should be good quality. 3. Can you visit and see the product? 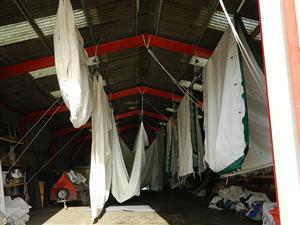 Any decent supplier will be more then happy for you to visit their premises and check out their marquees. They’ll also consult with you to make sure you get exactly the right marquee for your event or business, and talk you through all the options, including any marquee accessories you’ll need to make your marquee work best for you. 4. What else do they offer? Let’s say you’re going to buy a large semi-permanent marquee for your hotel to use as an extra wedding venue. You’ll need lots of advice, help, and most likely a maintenance package too. If you’re planning to take the marquee down in the winter, will the company store it for you? If you’re in the East Anglia area of the UK and you’re looking to buy or hire a canvas marquee, the longest established marquee business is Weatherill Brothers. We’ve been based in Watton, Norfolk for nearly 40 years, and we’ve been making stunning traditional canvas marquees for even longer. 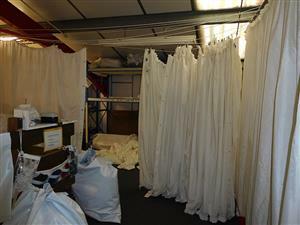 We’d love you to come and see our showroom and workshops, and watch our marquees being made. We are proud members of MUTA, and have had some marquees tested and proved safe in winds of 80mph - so whatever the British weather throws at you, you’ll be safe in a Weatherills marquee. A marquee at your hotel or venue can really bring in the extra cash, and we’ve helped a lot of businesses increase their revenue over the years. If you’d like us to help you too, or if you want to learn more about canvas marquee hire or the cost to buy one – call us today on 01952 882 394 or email us at sales@weatherillbrothers.co.uk.